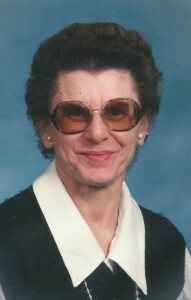 Rachel White McElhattan, 78, of Warren, Pa died Tuesday morning, January 03, 2012 in her residence following a three year illness. Born February 22, 1933 in Starbrick, Pa to the late Benjamin C. and Evelyn Mae Edgett White, she was a 1951 graduate of Warren High School. She resided in Warren her entire life. Rachel had been employed with First Affiliated Securities as a secretary. She was a regular pioneer with Kingdom Hall of Jehovah’s Witnesses since 1983. Rachel is survived by her three sons – John B. McElhattan and his wife, Helen of Hacienda Heights, Ca, James R. McElhattan of Long Island, NY and Charles L McElhattan and his wife, Jamie of Prescott, Az; Two daughters – Judy Ann Anderson and her husband, Danny of Unicoi, Tn. and Carolyn Stroup and her husband, Vaughn of Rockwood, Tn; A brother – Tom White and his wife, Nancy of Starbrick; 12 grandchildren; 3 step grandchildren; 8 great grandchildren; 2 step great grandchildren and several nieces and nephews. In addition to her parents, she was preceded in death by her husband, Paul R. McElhattan in 1982, whom she married June 14, 1952 in Warren; One son – Richard P. McElhattan, in 1996; one grand daughter – Karissa McElhattan; one brother – Bill White; and a sister – Gretchen McDaniel. Friends may call Donald E. Lewis Funeral Home, Inc. 304 East St, Warren 16365 on Friday from 2 to 4 and 6 to 8 pm. A memorial service will be conducted 11:00 am Saturday at Kingdom Hall of Jehovah’s Witnesses, 201 Pleasant Dr. Warren, 16365 with a local elder officiating. Private interment will follow in Warren County Memorial Park. Those wishing to place memorials may do so through Kingdom Hall of Jehovah’s Witness, 201 Pleasant Dr. Warren 16365. Online condolences may be offered to the family at www.lewisfuneralhomeinc.com. My condolences…so sorry. I was always proud to call Rachel my Aunt…she will be missed. Love and prayers go out to all of you.I well see you today. So sorry to hear of your loss, will see you Saturday, the Lord willing, think of you all often with love. Aunt Rachel will be sadly missed. She always had a smile and a kind word for everyone. She was a good, family loving blessing to us all. Our condolences to all of you in her immediate family. She was proud of you all. We love and think of you all often. Wish there was something we could do to help ease your pain. Holding you all in our thoughts and prayers. Lots of memories. Mom said that she wanted to be there. But that just is not possible right now. You are all in her thoughts and she loves you all. Our deepest smypathy to the entire family. Rachael was a fine spiritual example for all of us by her steadfast endurance through all her trials. We will keep you in our thoughts and prayers.